This September marked the opening of La Creperie with its varied menu consisting of crepes and galettes (Savoury crepes) , healthy juices, salads and more. The repertoire of galettes has been influenced from Brittany region in France e.g Cheese and ham, galette chevre (goat cheese) etc apart from traditional sweet crepes like suzette, apple and salted caramel as well juices like the much loved watermelon cucumber and mint mix. Go strong and spinachy like Popeye or traditional French with the goat cheese galette "Chevre" .For the chicken lovers there is Supreme with Chicken, spinach, Onion, Cream and Cheese where as the fish lovers can go for "Nordique" with Smoked Fish, Fresh cream and Lime.Veg lovers can be happy as there are plenty of offers apart from Popeye...Italienne , Forestiere, Greek. There is also the traditional "Complete" or "Duo" with Ham. There is also the arrays of sweet crepes like Apple, Banana Compote, Cinnamon, Apple Caramel beurre Sale (Salted Caramel), Nutella, Banana , Coconut. Traditionalist can go for the Suzette, Nutella or simple butter/Sugar & Sugar/Lemon. 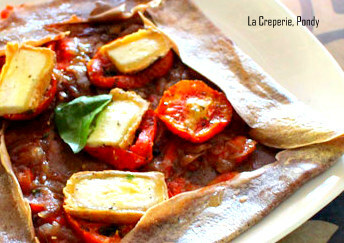 La Creperie is the latest hot spot in Pondicherry. French, Indians and others love the Crepes on the offer. Conde Nast Traveller Magazine rates it one of the 5 new places in Pondicherry to please your Palate. Open from 10am–6pm. Ideal for a late lunch, as few places serve lunch past 2pm in the city. Closed on Tuesdays. 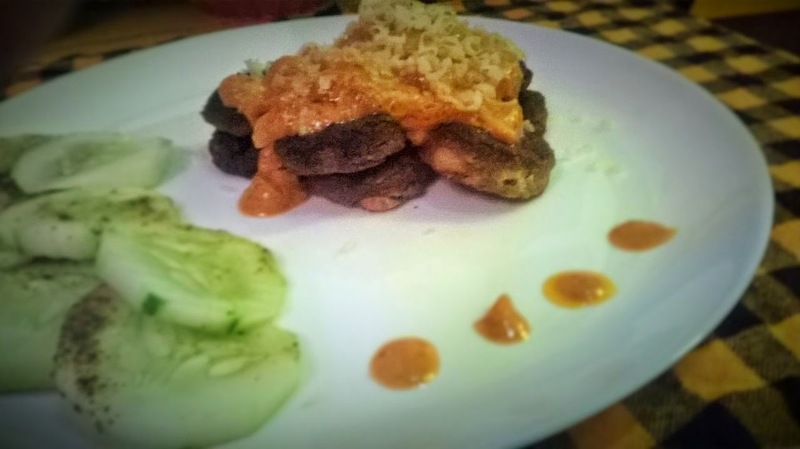 Address: La Creperie, ground floor, La Marina Guest House, 56a rue Romain Rolland.pondy -1. These gnocchi are easy to cook.they are rounds of semolina paste which are mixed with pesto and butter and garnished with grated cheese. Try not to bake too long as the gnocchi will then be too crunchy. A home made tomato sauce will enhance the flavour. This recipe was inspired from a favorite book of mine. Tried and tested and they taste wonderful. It is also easy to make as is also easy on the pocket with a few ingredients. 5 tablespoons pesto sauce .the original recipe calls for 3 tablespoons but hey the more pesto the tastier it is. You can use store bought or make your own. We made our own and there is nothing like making fresh pesto. In a mixie simply blend a packet of basil leaves, grated gruyere or parmesan, 6-7walnuts( pine nuts hard to get in india) with olive oil, salt and pepper and 1 clove of garlic for extra zing . store in a airtight glass bottle in refrigerator. Will keep best for 2 to 3 weeks. Heat the milk in a large saucepan. When its about to boil , sprinkle in the semolina. Keep stirring constantly until the mixture is smooth and very thick. Simmer for 2 mins on a very low heat and immediately remove from oven. Don't let it cool and immediately stir in pesto with half the butter and cheese.add the eggs , salt and pepper to taste. Take a round cookie cutter and cut out as many rounds as possible. If necessary make a block again to cut out the gnocchi rounds. 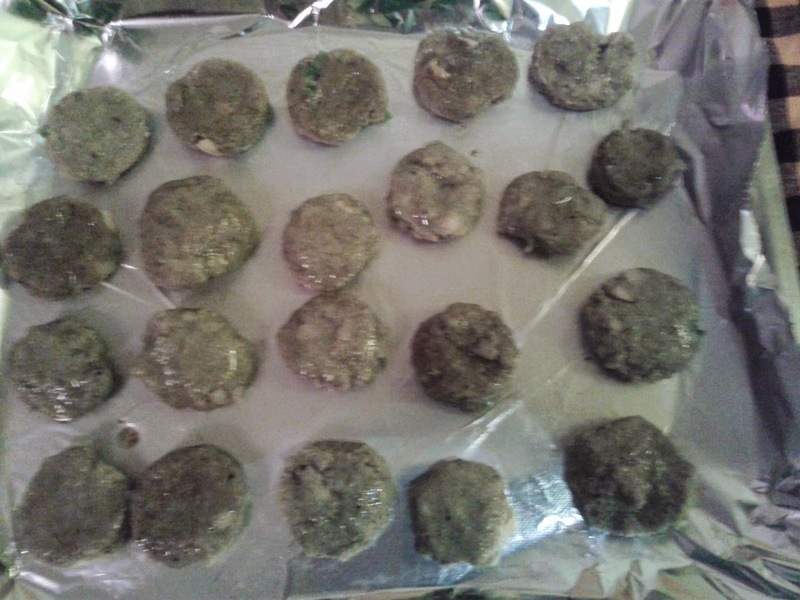 Bake for 30 to 40 mins depending on the heating capacity of your oven. Check after 30mins. Heat a little butter in the pan.add 2 drops of neutral tasting oil to prevent butter from browning. Add the onion and garlic and fry for sometime. Add the tomato ketchup, pesto sauce and salt and pepper to taste. Add 1/3rd cup water and bring to boil . Reduce the sauce to a thick consistency after adding the cream. This valentines make something special for your love...This classic french easy dessert requires perforated* heart shaped molds but if have not got any, regular silicon molds or ramekins will do..afterall its the sentiment that counts. Place them tightly in Ramekins or Molds by filling them till the brim. *if you have perforated traditional molds, no need to drain water from the yoghurt. This salad is easy to make home so much so that even the most noncooks can make it. 2. Bread croutons(you can make your own by cutting bread into small pieces and light fry in olive oil until crispy. 5. 4-5 olives pitted cut into halves. In a medium bowl whisk the above ingredients mentioned for dressing until combines with Salt and pepper to your tasting. In a salad bowl put the rest of the above ingredients. toss with the salad dressing/ vinaigrette. Adjust salt to your taste. 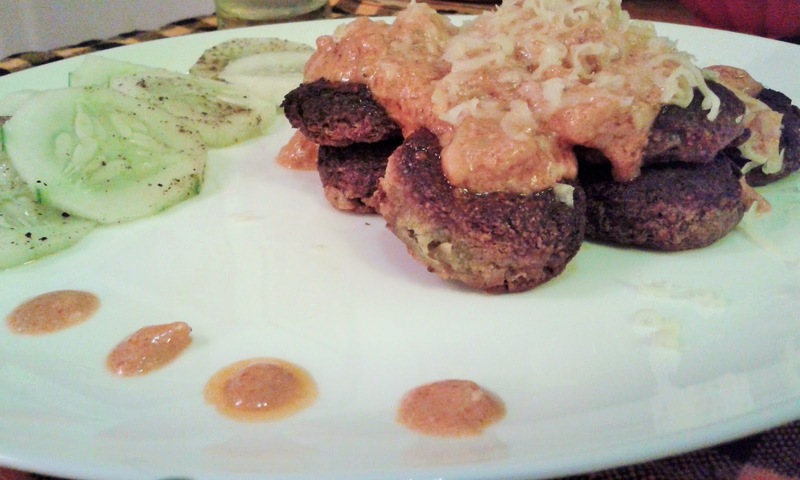 We tried this recipe a few days..It is very simple to make and the results is WOW! In a mixer, Blend the roasted peanuts with a little water, pinch of salt, Garlic, Ginger and set aside. Wash chicken pieces thoroughly and pat them dry. 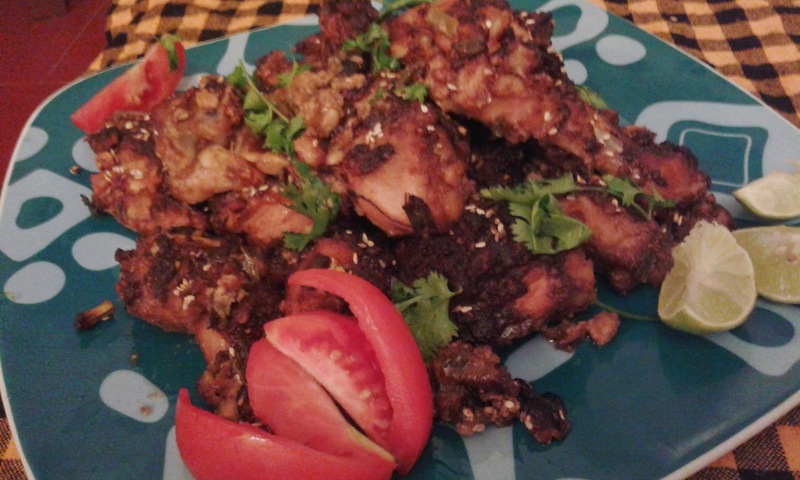 Marinate the chicken with the peanut paste, Teriyaki and hoisin Sauce, Soya Sauce, Chilli Flakes, spring onions, Salt to taste and oil. As the Sauces are already salty, please do check the quantity of salt required before adding. Marinate for atleast 1/2 hr( 2 hours would be best). Uncover the foil and cook for additional 10-15mins on Grill for a crispy topping. Garnish with Coriander, Tomatoes and toasted Sesame seeds. Your Dish is ready. 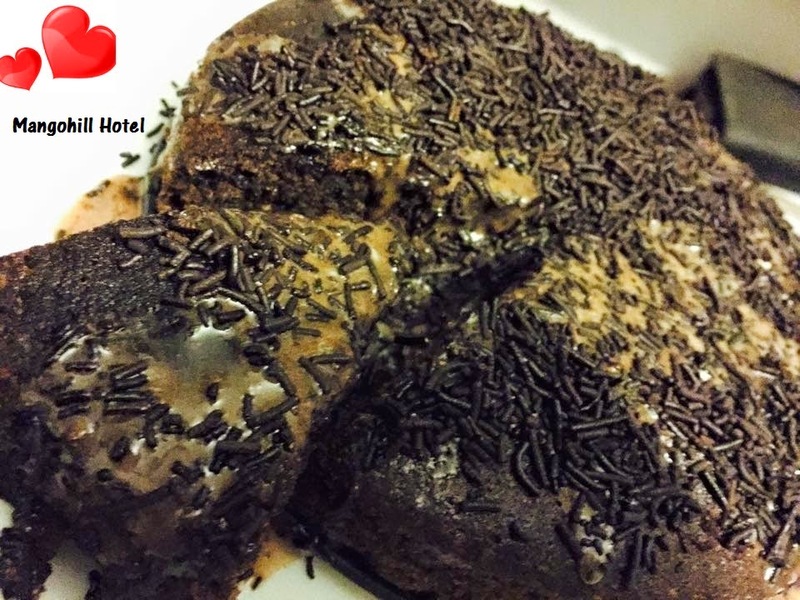 We made a few changes in the recipe for convenience and availability .....the result was still great...Luscious soft melting cake ....oozing delight in every bite..
2. 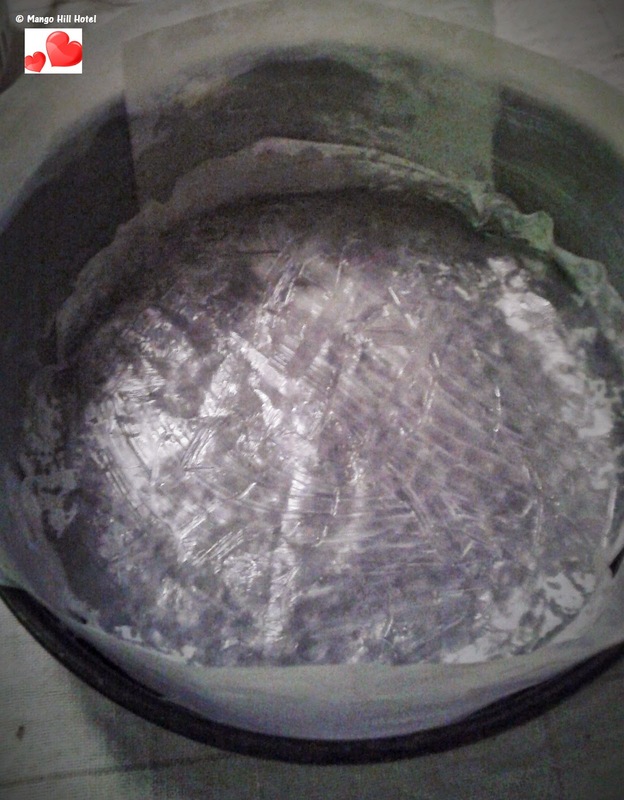 Line greased butterpaper (greased with butter) on a springform or loose base cake tin. 3.Melt chocolate in double bath or Bain marie as is called in French over boiling water..the upper bowl with chocolate shouldnot touch the water. Once melted add the coffee powder and chilli flakes. Mix it with a wooden or silicon spatula. Remove the bowl ,set it aside for 10mins to cool. 4. In a separate bowl, Cream butter with sugar(add sugar scoop by scoop else the mix may curdle). You can use a handblender or a wooden spoon untill light white and a little fluffy. 5. Gently stir in warm Chocolate chilly mixture , add the orange zest and 4 egg yolks. Sift in Maida/Flour, baking powder, Cocoa powder, Bicarbonate of soda,orange juice,vanilla essence and mix gently until combined. 6. Whisk n the remaining egg whites along with another white of an egg...until stiff. Add the chocolate flour mixture one large spoon at a time and fold in gently. 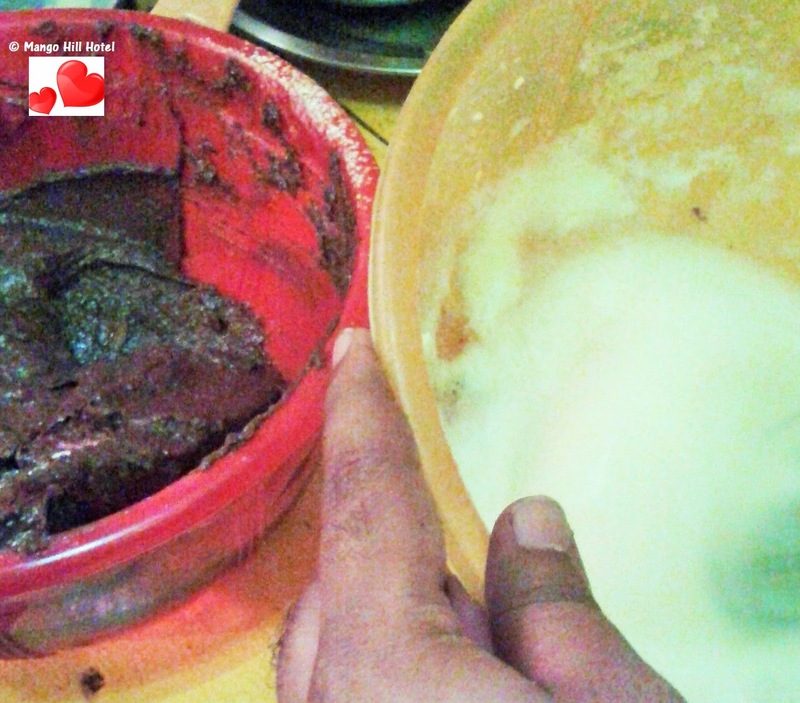 7.Pour the mixture in the cake tin and bake in oven for 45-50mins depending on the heat of your oven. Check after 35mins though. Place a toothpick in the cake and if it comes clean remove it from the oven. For the icing and decoration. 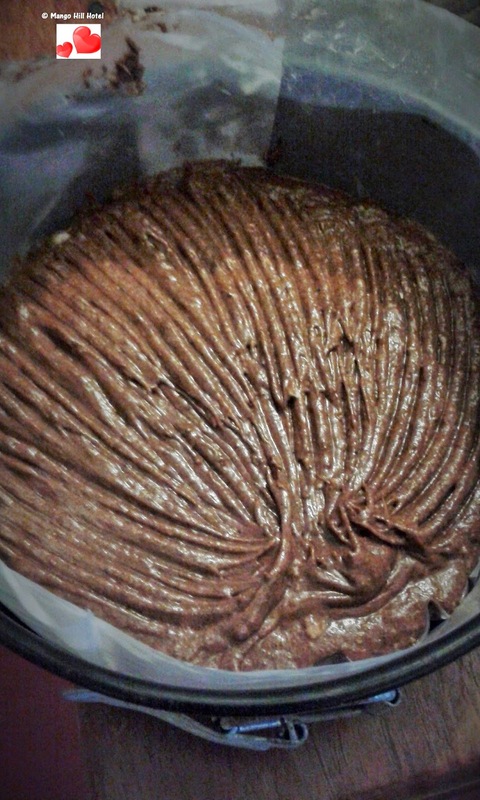 Whisk Cream ,Icing sugar and cocoa powder together until medium stiff. Cover the top of the cake evenly and Generously sprinkle Chocolate strands. You can also use strawberry for decoration. Your Chocolate cake is ready. Through a good friend , we came across the actual history of CHICKEN 65. Posting the page. Did you know its history? 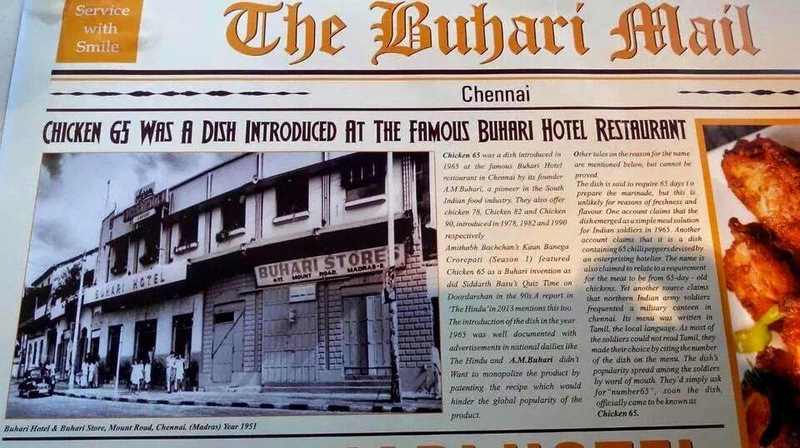 Chicken 65 was first introduced at the Buhari Hotel in Chennai in the year 1965 according to this article, Which looks like the most probable answer.See below. 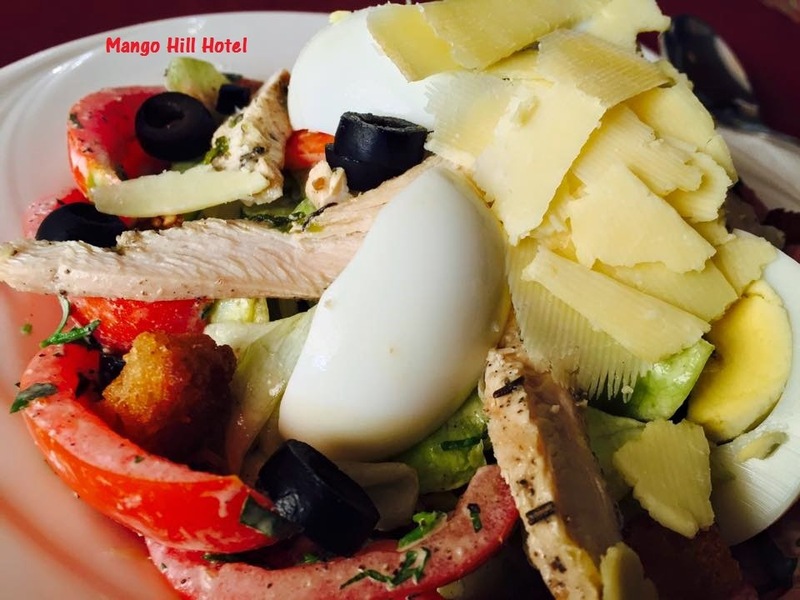 Mango Hill serves up a delicious make of Chicken 65 Dry. 1. 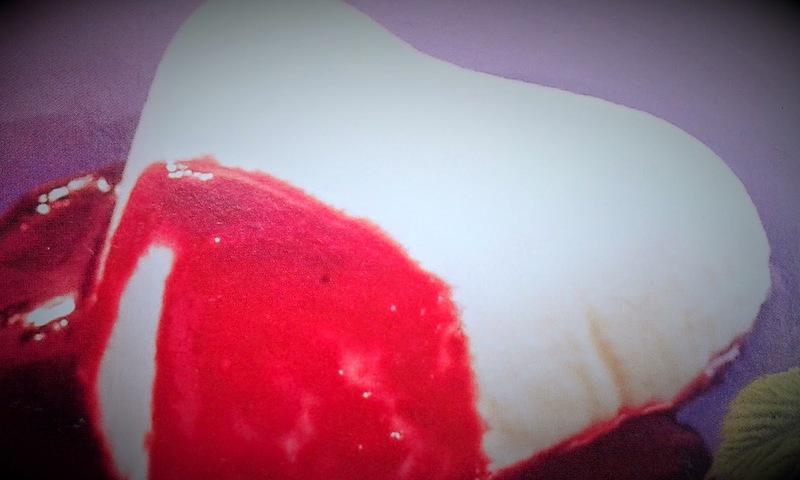 Make a thick Batter of Cornflour and white flour and egg with some cold water.ginger garlic paste, chilli powder , Red colorant (optional)and salt to taste. 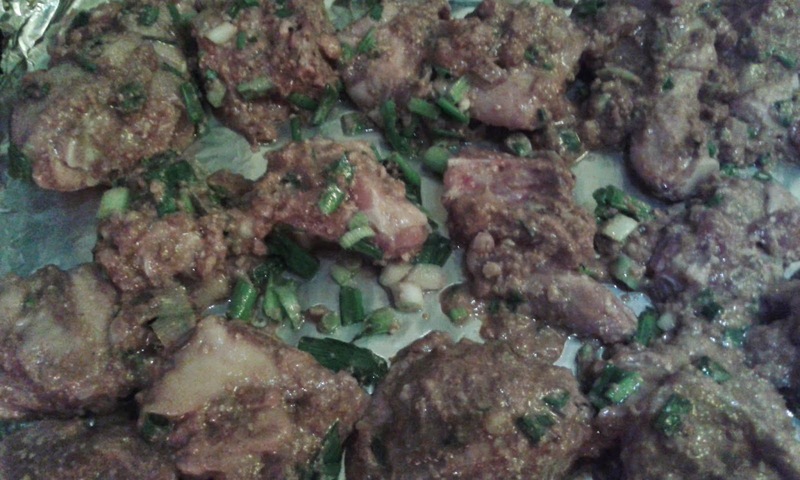 Marinate the chicken pieces for atleast half and hour. 2. Dry fry the chicken pieces untill golden brown and place on tissue to absorb extra oil. 3. 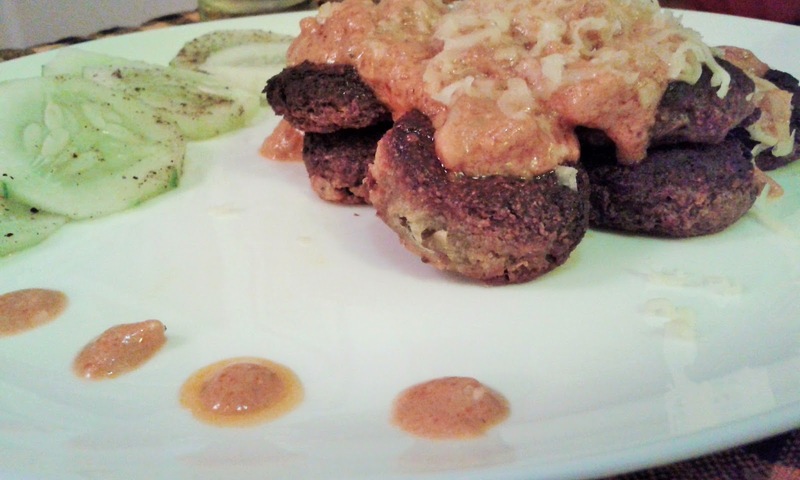 For the sauce:Heat oil in a Fry pan and add , yoghurt,cloves, cinnamon, cardamom powder, red color, little salt and the fried chicken pieces. Keep tossing for 5 mins or untill the sauce comes together. Add the lime juice before serving. 4. Serve with wedges of Lime, Sliced Onion. 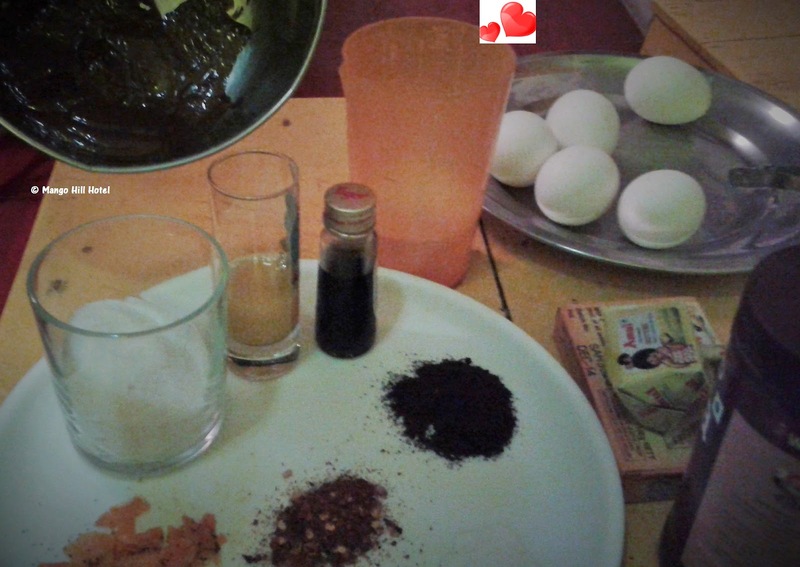 Sprinkle Chat Masala and a pinch of Black salt for added taste. Try it at Home and let us know.